In this third set, the “jail songs,” Noor Jehan definitely made a greater impression on me. (Actually, there are a couple of Noor jail songs in Anarkali, but I think this one makes for a closer comparison.) Listen to the drama in Noor’s voice – she is wonderful! I also like this scene more. The Indian version actually is more OTT in terms of melodrama, with Madhubala staggering around in chains, etc. 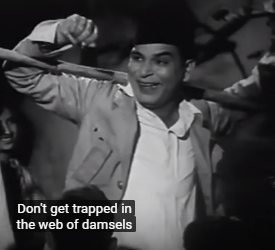 I think the Noor Jehan jail scenes are just right by contrast. And with that, I shall close my Noor Jehan brithday week – which turned out to be more limited than I first had planned, but I hope it was enjoyable. You might also consider this the post for Lata’s birthday. Happy birthday, Lata! Need I say more? So charming, funny, adorable… Though it is interesting that Noor Jehan and Suraiya never actually sing together in Anmol Ghadi, but when Noor Jehan and Surendra sing the greatest duet in the movie (i.e., that song most recently featured here at the bottom of my last post), they do so from different places, never in the same frame. Still, I found it so much fun just watching Noor Jehan and Suraiya act together… And as I became a Suraiya fan (after already being a big Noor Jehan fan), it became even more fun to watch in the second, third, etc., viewings of this film. Happy 85th Birthday, Malika-e-Tarannum, Madam Noor Jehan! I guess I wrote my ultimate Noor Jehan birthday post last year. I hope that people have been able to view some of the tons of information in the links that I provided there. This time around, since the time caught up with me a bit quickly, I am not going to “top that.” Additionally, this is another birthday celebration that is going to take more than one day. In fact, I might make it Noor Jehan week! For now, I would just like to add a few delights that I have found recently – somewhat closer to the sort of birthday post that I wrote for Madam in 2009. Enjoy! 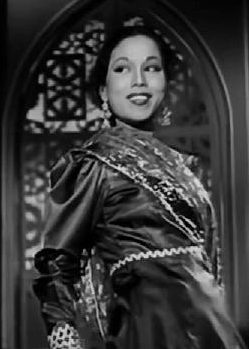 This is a delightful classical mujra from the 1968 Pakistani film Aik Hi Rasta. Noor Jehan is singing for Rani here. And here, a very nice Hindu devotional song and dance, with Noor Jehan singing playback for Shamim Ara, from the 1967 Pakistani movie Lakhon Mein Aik. I love Noor Jehan’s singing in the 1958 film Choo Mantar. This song is particularly good, and Noor Jehan looks great in this, too. I have mainly focused on Pakistani films this time, probably because I have already posted from her pre-Partition films so much. But here’s a real favorite from the pre-Partition era that I wanted to show in a new version that replaces the usual film clip with a Golden Age Bollywood slide show that I enjoyed very much. I guess I’m posting a little more slowly than usual right now, but a big part of the reason for that is that I’ve been involved in an extended protest. I haven’t been involved nearly as much as many other people, but this protest is correctly becoming known as a young people’s protest (though I don’t like it so constantly being called such), and I am a lot older and tireder than most of them. Come to think of it, I was even older and tireder than most of the protesters ten to twelve years ago, when I was running around in clouds of tear gas at world trade summits. And back then, I also had a little less resistance to the idea of having to be around people all the time. So, I’m afraid I’m not completely “cut out” for the activist’s life – especially not these days – even though I do have the political interests. And, unlike me, most of the people involved in this protest aren’t weighed down by the strange psychological effect of protesting in a neighborhood, and even by actual buildings, where one has worked before… Which, considering where I am, means that the scenario is a bit less rural than the one above, and the songs or chants aren’t quite as much fun or as communist. And nobody’s taking over any factories or anything like that (which would be a good way to protest at a place where one has worked before). But we/they are protesting some destructive financial institutions, so it is still worthwhile. This protest is also a bigger deal as protests go than I’ve seen in a while, and since nobody is bothering with permits, let’s hope I don’t land in jail. But I think it’ll all be OK, and I will be free to post more soon. By the way, these songs were originally found at Ebenezer’s great Old Malayalam Cinema site. He also has started a site devoted to KPAC, but I have waited to talk about that because it is very much still “under construction.” I hope to talk about it quite a bit more in the future, and I might even try to contribute something to it myself, as I have been given the ability to do so (but just don’t have the ideas yet). Wow, a contemporary-movie version/remix that isn’t offensive – just a bit silly, as it should be. Curses on you, Eros. Thank you, Tripmonk, for finding this and posting it. The video quality is not the best, but the song and dance are delicious anyway. The main singers are Smt. 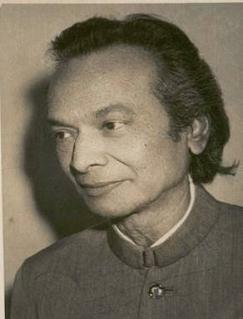 Parveen Sultana and Ustad Dilshad Khan. And for much of it, you can see dancing by Gopi Krishna. The music director is Khayyam, who has become one of my favorite music directors just within the past month or couple of weeks.